RECORD HOLDERNo. 1 All-Time Most Titled Welsh Terrier Internationally, First Welsh Terrier to earn UKI Agility Championship, First Welsh Terrier to earn AAC Gold Awards, All-Time Top Welsh Terrier in Lifetime UKI Agility, All-Time Top Welsh Terrier in Lifetime AAC Agility, First Welsh Terrier to earn AKC Trick Dog Performer, First Welsh Terrier to earn DMWYD Trick Dog Champion, First Welsh Terrier to stand on a National Agility Podium (AAC). 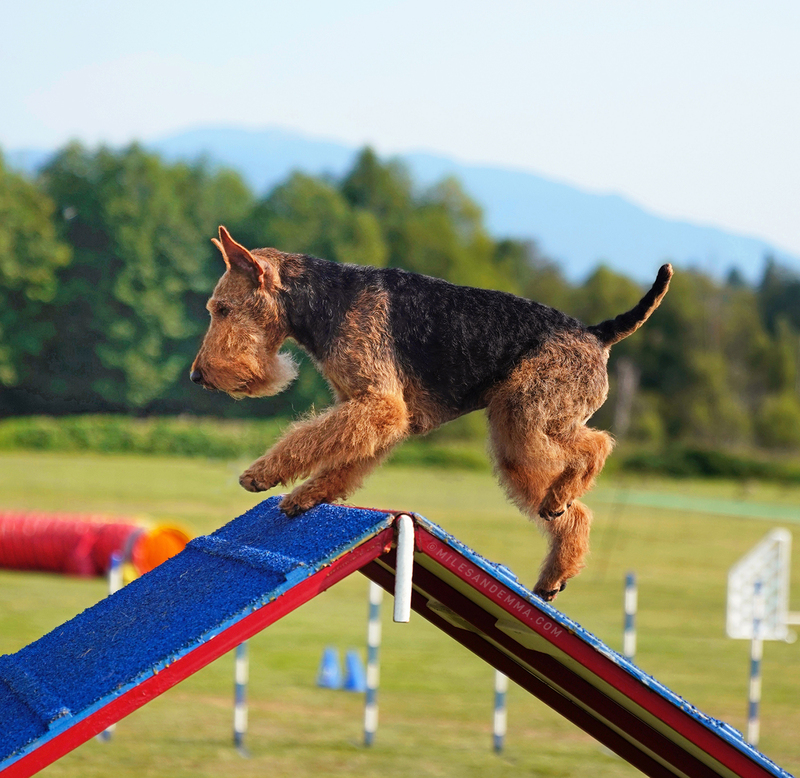 “Miles” is a versatile and skilled performance dog who holds many international records for Welsh Terriers in Agility and competitive Tricks, and has paved the way for others to follow in his footsteps. From the beginning, I didn’t believe that I needed to change or dampen Miles’ very ‘Welsh Terrier personality’ to accomplish great things. The key to our success has been that I have respected who is he is. Because of this, he is truly my teammate. ATCHC IACS Shaireab's You're Under Arrest MXP MJP2 MFP2 CGCA CGCU T2BP TKP TDCH EXSTGOLD ESJSILVER EXGGOLD EXSSILVER EXTRBRONZE ESSCSILVER MCDC VSA GOLD IWACS, "Miles." 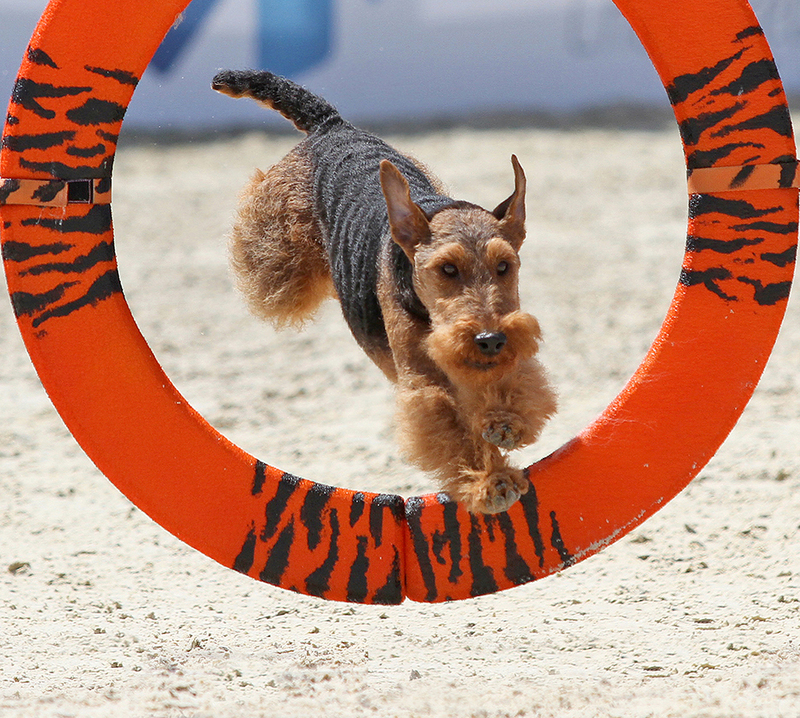 "Miles," UKI Agility's First Welsh Terrier to earn International Agility Champion, and International Win Agility Champion. 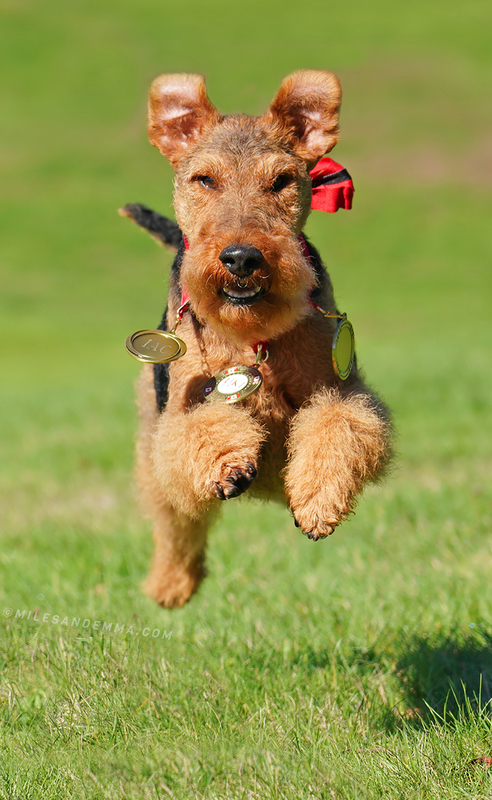 The AKC's First Welsh Terrier Trick Dog Champion, "Miles." * AAC Web Top Dogs for This Year, 2017. ** AAC Dog ID Pages.